Salad vegetables are very popular and include different types – lettuce, endive, radicchio, lamb’s lettuce etc. They grow fast, are good to fill an empty garden bed and can be cultivated almost throughout the year. They need nitrogen, phosphorus and potassium to grow, but too much nitrogen in fertilizers can cause harm. Avoid mineral types of nitrogen. After sowing, water with yarrow tea for better germination. 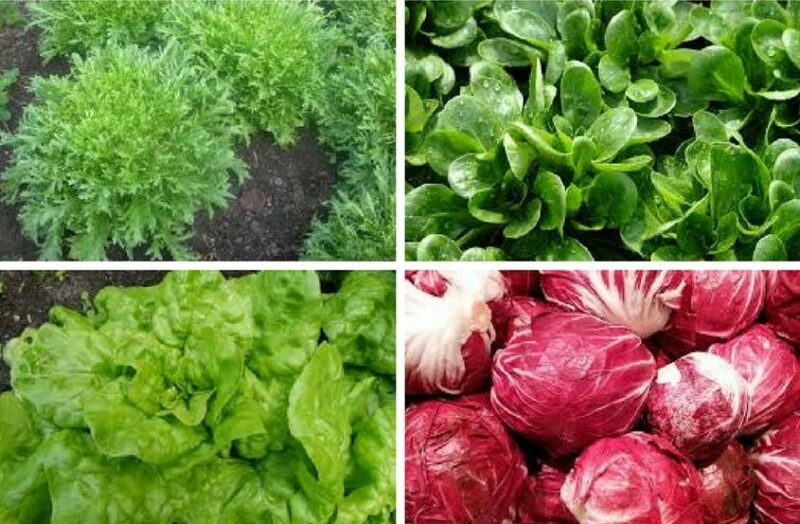 Salad greens are best to use fresh as they lose quality fast after being cut off.